You are bidding on a unique mixed material collage that I am listing for my friend Coby Taylor. It is made from a solid wood artists box that is 17 inches by 13 inches by 4 inches. It opens approx. 45 degrees and has metal hinges and closures. 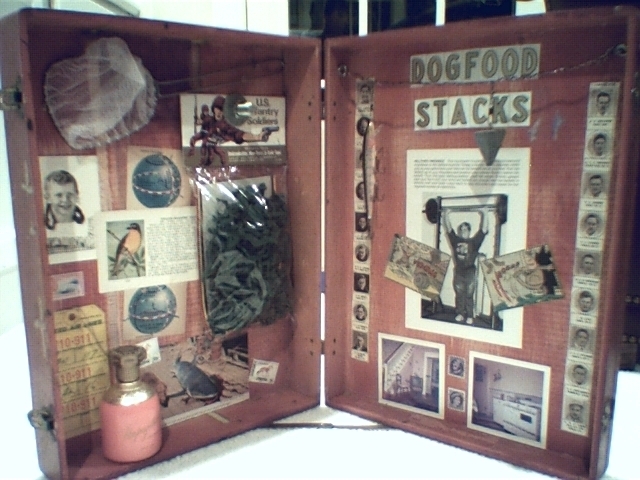 An interesting mixture of of items are affixed to the inside as pictured. It is an original one-of-a-kind item that is listed with a low open and no reserve. Buyer pays $12.50 shipping to U.S. lower 48 locations only.